PEP aims to help strengthen partnering for the SDGs, build more inclusive practices, and act as a change-making initiative to optimise the SDGs. The core inquiry of PEP is, “What will it take to unleash the partnering potential for the SDGs?” To help answer this question, this website provides access to state-of-the-art knowledge, insights, and real-life examples about routes to and conditions for effective partnering. PEP has organised partnering knowledge based on input from the five founding partners, all expert organisations in the partnering field. The PEP partners explored two questions: what is at the core of effective partnering and which partnering factors need the most attention. The answers the different partners arrived at showed coherence and complementarity. 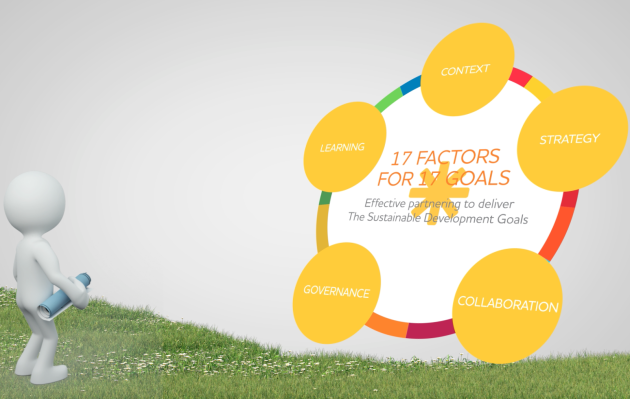 An iterative process among the partners resulted in the 17 factors for effective partnering that are presented on this website. These factors have been validated in an interactive workshop with partnering specialists including practitioners, policy makers, and scholars from the South and the North. The 17 factors for effective partnering become useful if the following general guidelines are adhered to: First, every factor needs to be continuously addressed to increase effectiveness. This implies a keen eye for key moments during which specific factors are relevant. Second, every factor is accompanied by guiding questions to feed into ongoing queries on whether or not practitioners are operating as effectively as possible. Third, we have added recommended practices because it is vital to learn from knowledge and experience of others to increase understanding of what works. And, last but not least, PEP formulated key performance indicators to enable practitioners to understand whether or not a partnering endeavour is still on track. PEP is keen to learn from and work with all different kinds of partnering and collaborative initiatives so crucial to achieving the SDGs. PEP wants to be highly flexible (one size does not fit all), responsive (operating whenever possible through direct personal contact), transparent and open source. PEP aims to push boundaries and challenge assumptions in a spirit of inquiry. Therefore PEP is very curious about your own experiences, case examples, and recommended resources. Finally, your reflections or even critique on the work presented on this website are very welcome. Please let us know what you think!